This is unrelated to the content of this post, but Nick and I have been together 8 years today! Isn't that crazy? This is strange, but I always think of years in terms of how long I was in high school and/or college. 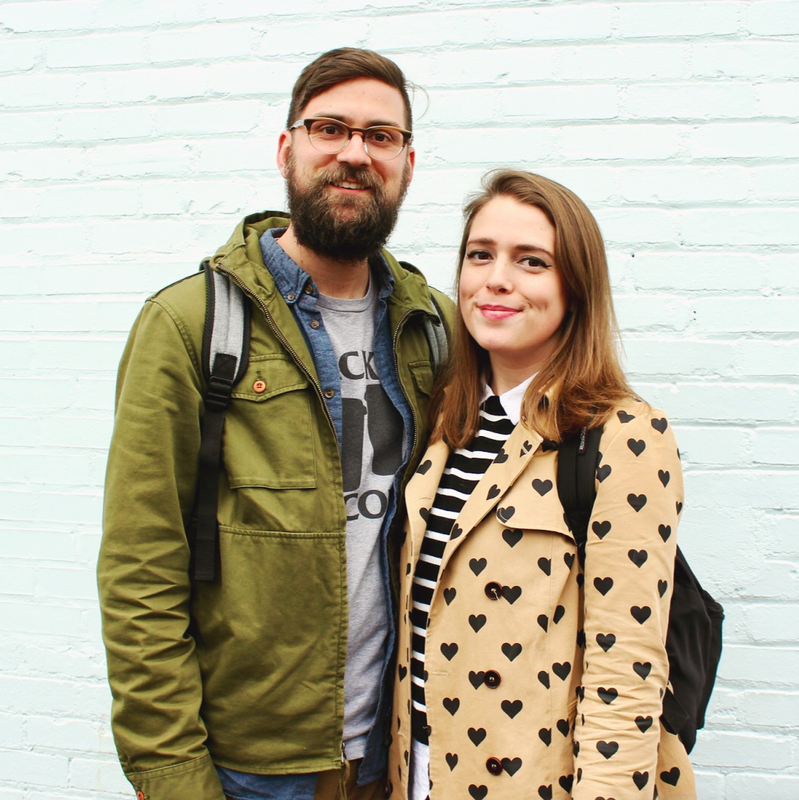 Like, in the time we've been together, I could have gone through all of high school and college AGAIN. We must really like each other. 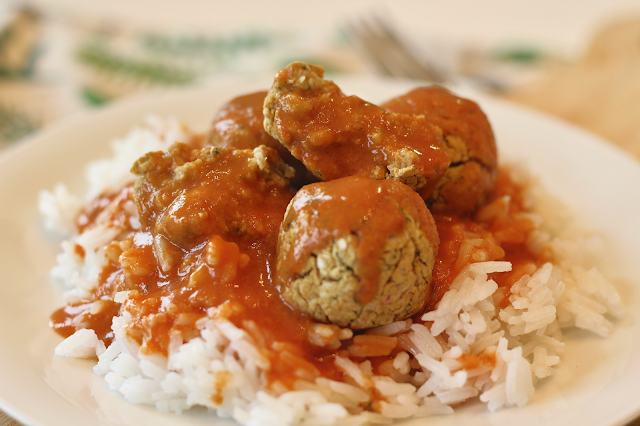 We also really like this falafel & curry dish, which has become a staple in the Surznick house. It's one of those meals that is easy enough to whip up when you have guests, but probably still new and different for them to try. We love it and we think you will too! by The Surznick Common Room January-6-2017 Jasmine rice topped with baked falafel and a simple and delicious curry. 1. Drain and rinse your chickpeas and add to a food processor. 2. Add garlic cloves, lemon juice, cumin, chopped shallot, and salt and pepper. Process until mixture is combined but still a little chunky. You will likely need to scrape the sides several times until everything is combined.3. Transfer falafel mixture to a separate bowl and add flour. Combine and then form into 12 falafel. Transfer to a foil lined baking sheet.4. Preheat oven to 375 degrees and place sheet of falafel in the fridge to firm up for 15 minutes.5. Bake for 30 minutes, flipping once halfway through. At the halfway point, you can begin to prepare your curry and rice.6. In a large saucepan, combine tomato sauce, coconut milk, curry powder, onion powder, and ginger. 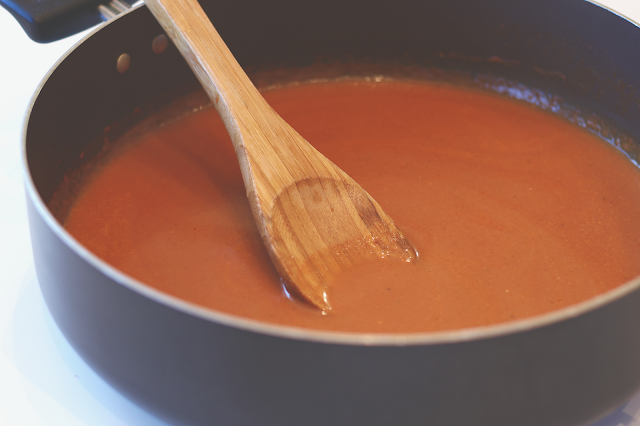 Bring to a boil and then simmer, stirring frequently.7. Prepare rice according to package instructions. 8. 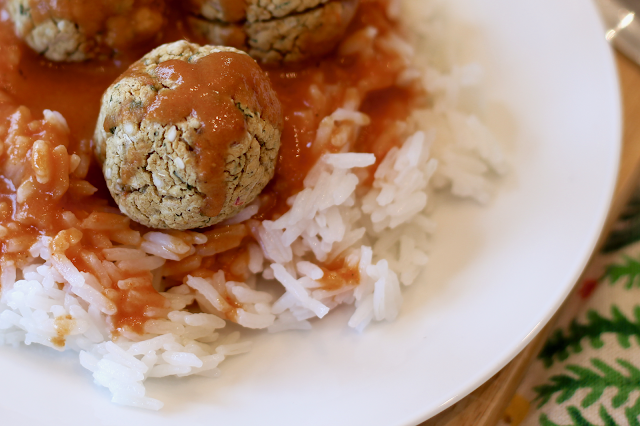 Serve rice on a plate topped with curry and falafel. Enjoy! Curry recipe inspired by Elephantastic Vegan and falafel recipe inspired by Minimalist Baker. If you try this, be sure to let us know! Leave us a comment or tag us on social media (@sawissinger and @nmalburg.) Have a great weekend! Well, I have everything in the ingredient list so I'm making this tonight! Thanks, Gretchen! I hope you like it!